Golden Star is one of the top-notch Bitcoin casinos. It was established in 2012 by the gambling enthusiasts and professionals. Furthermore, it is registered and operates under the laws of Curacao and guarantees a high level of user protection. At first sight, it may seem similar to many other casinos we have written about at bitfortune.net. There is the usual black background color and familiar layout. However, there’s much more under the hood. In our Golden Star Casino review, we talk about many aspects that contribute to the unique experience that this online casino offers. Today’s online gambling market is highly competitive, and if a casino doesn’t have what it takes, it will go under. While having top quality games is essential to having a fun and attractive platform, it’s just not enough. So, let’s see what Golden Star offers to keep its players entertained. The Golden Star Casino online gambling platform spans an extensive library of around 600 games. Simply put, this casino satisfies the needs and requirements of even the most demanding gamblers. At Goldenstar you can handpick the best games from six extensive categories – Live Casino, Slots, Jackpot Games, Table Games, BTC Games, and Other. The entertainment wouldn’t be complete if there wasn’t the assurance for games provability. Betsoft Gaming, Amatic, Habanero, and other top game software providers make the games that you can play at Goldenstar casino. 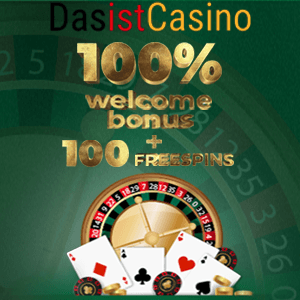 What makes this casino your premier destination for spending quality gambling time are the generous bonuses and promotions. Although at the time of writing this review there weren’t active Golden Star Casino no deposit bonus codes, we discovered one of a kind bonuses that are impossible to overlook. The first deposit bonus by Golden Star is a fantastic way to jump-start an exciting gambling adventure. Make your first deposit using the code “GS100”, and you’ll receive a 100% match bonus up to 50 mBTC. Plus, you will get 100 Golden Star casino free spins for the Lucky Sweets slot. There is also a second deposit bonus (code “GS75”) that comes with a 75% match bonus up to 50 mBTC, as well as a 50% up to 50 mBTC match bonus based on your third deposit. Use code “GS50” to claim this offer. The excitement doesn’t stop here. For nice weekends, there is an incredible weekend bonus. Use the code “LUCKY50” to get up to 50 mBTC + 60 free spins when depositing over the weekends. Although Golden Star doesn’t feature a unique design with vivid colors praised in our Loki casino review, it certainly has a lot more to offer than some other sites with a similar design and layout. When you scroll down the site, the transitions are seamless. Plus, the Golden Star site isn’t cluttered with unnecessary content. But most importantly, Golden Star is fully optimized for all screen sizes, including mobile devices. Apart from Bitcoins, you can play using a variety of fiat currencies (EUR, USD, AUD, NZD, CAD, NOK, SEK, RUB, and PLN). Additionally, you will get to use fan-favorite payment methods like VISA, MasterCard, Skrill, Cubits, Comepay, Paysafe, WebMoney, and many other ones. All transactions are processed instantly with a high level of user data protection. With the key segments summed up in this Golden Star Casino review, we give this online casino five stars. The user-friendly platform, excellent performance, broad selection of games, currencies and payment methods, attractive bonuses and promotions, and high level of security are factors that make this operator one of the top players in the cryptocurrency gambling industry.